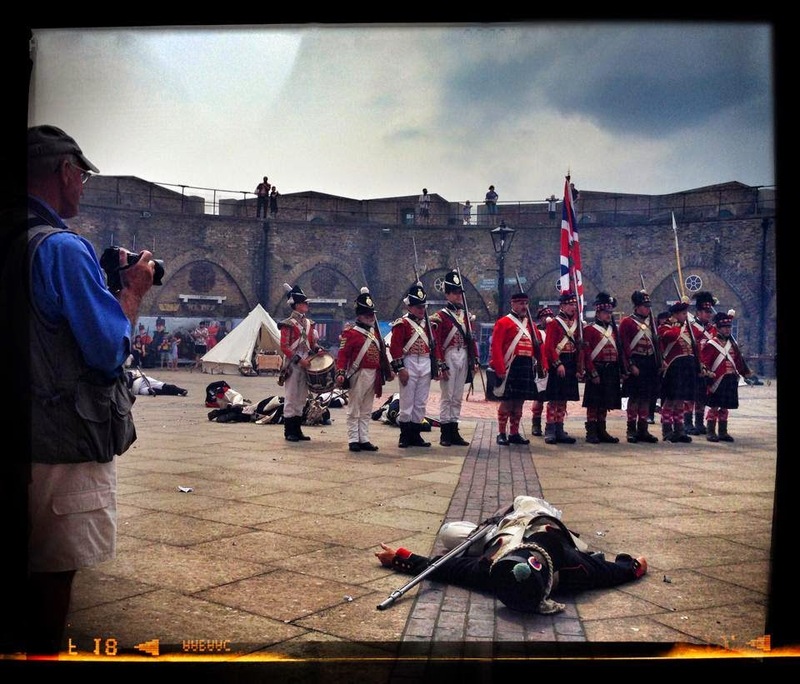 Left foot forward (a journey into reenactment): Redoubt Return. 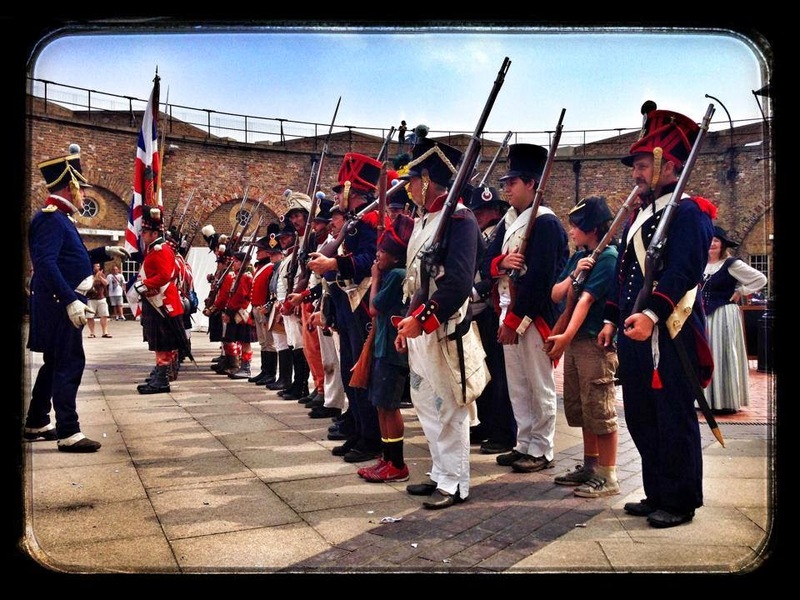 We were guests at the Redoubt for the weekend along with the 1st footguards and 79th highlanders, chaps we know quite well and were at Dover with just a fortnight ago. Sometimes you don't see that much of 'the other side' but these events you are pretty much together before and after the brief time of doing 'the battle' which dosn't give much time to socialise bar a few words over the top of crossed muskets. I got to handle a brown bess and compare it to a Charleville, not just the weight and length but the construction, the 'bess being a fraction quicker to load due to being a bit shorter and able to take both British and French shot but the Charleville being a bit more robust (read; heavy) and easier to take apart for cleaning. 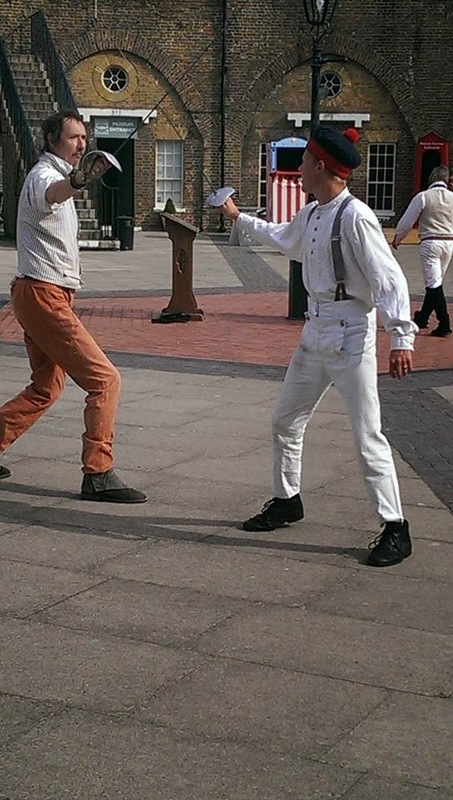 At one point I was confronted by a man with a film camera who wanted a brief interview about re-enactment and then 'What is the importance of drumming?'. I think I answered adequately but of course thought of some better points later, I didn't get to ask what the film was for. The skirmish the first day saw us coming out of the tunnel from the direction of the sea and raiding the redoubt, there was much wheeling and firing but surprise was on our side. The second wave of redcoats came in and were firing down from the walkway before coming down and being knocked out in the fray. As on three occasions we have had people shot after being taken prisoner (often me!) it was time to return the favour (although for pantomime fun it felt odd, I think I prefer being shot). Andrew, the 79ths colonel, made a great show (and lots of noise) of protest. 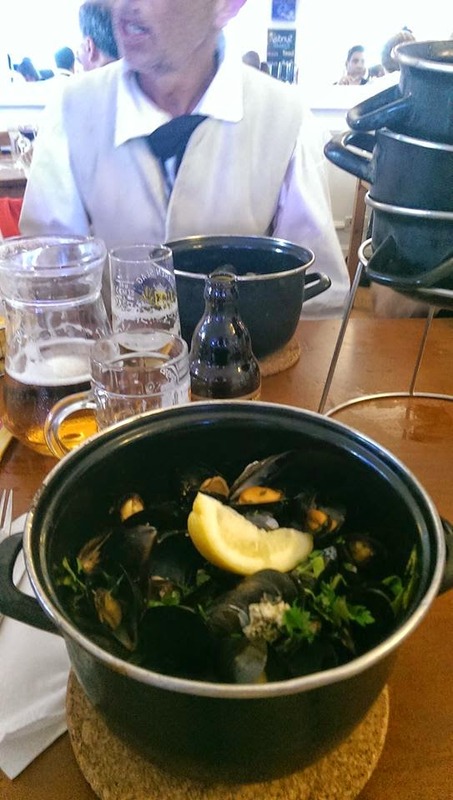 That night we, the French, all gathered at the Belgium cafe and I had Russian stroganoff mussels and many tales were told (see last post). Those of us staying at the Redoubt got to sleep in the sea-side entrance tunnel with only one instance of snoring and a drunken scotsman coming back from the kebab shop. Surprisingly I didn't have any cheese-related dreams as a couple of times I became aware that my pack still contained half a wedge of Brie which had so far endured a days travel in the warm weather and was now idling quite close to my nose. Crepes for breakfast to the backdrop of some sword fighting. Some drilling went well and practice firing and loading, with timed rounds, from first to last. I was quite pleased with my time, the idea is to get everyone used to loading with a degree of stress so that things that go smoothly when not on the field might be improved upon. Which notion was demonstrated in the second days skirmish, rather like yesterday in reverse, with myself rasing the alarm and dashing down the steps. The first pivoting went a bit pear shaped which seemed to arise from some folk hearing left (a Gauche!) but seeing motions to the right, then suddenly redcoats seemed to be everywhere. I was killed in a charge and fell upon something soft which later proved to be my tincup whch was quite squished out of shape. There were many other things to see, surgery, a duel and a flogging, kids drill, and we had our display out which provoked many questions. One young chaps was asking about glasses and was quite incredulous that they had glasses then, another ex-army guy was very keen on asking about weapon performance and one lady questioned the morality of doing reenactment at all.. was it making light of so many terrible things?, which I managed to answer to my own satisfaction without getting into too deep a debate... and meeting the balance of showing people the weapons without them getting too hands on/carried away, especially with kids, I went through through how muskets worked with people several times. If you dont like talking to people don't go out there! A short sharp shower saw a sudden display of interested in the display (coincidently one of the few places out of the rain!) and then at four o'clock everything wound down and a big group photo was taken, which hopefully I can stick up here when it makes an appearance. It was a good event and I hope will be repeated next year. I did manage to eat the last vestiges of Brie before leaving.